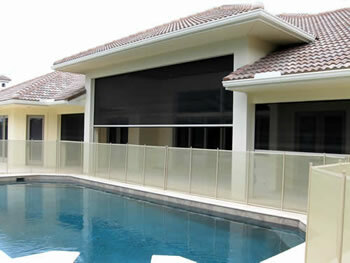 If you have spectacular views, then glass is the new window treatment. That said, there are times you might want shade from the heat and conventional blinds just won't do. The Motorized Screen System lets you to hide a roller assembly along eaves or under gutters, but when you need shade or protection from flying things, a touch of the button dispenses fiberglass screens. ©2012 Clear View of Broward. All Rights Reserved. Search Engine Optimization by Tennessee Web Technology in partnership with Jackson Medical Products.